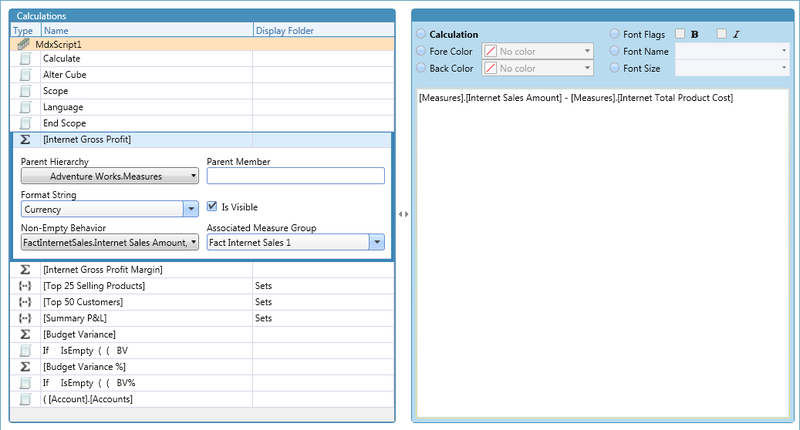 Use the Calculations editor to create and edit calculations, including calculated members, named sets, and MDX script commands. For a Calculated Member, enter its name, parent hiearchy, format string, and other properties in its data grid row. 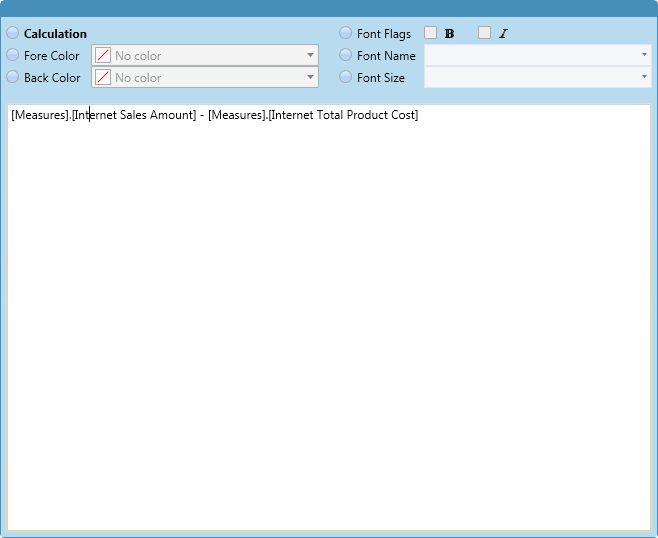 Select a MDX expression type and then enter a MDX expression below. 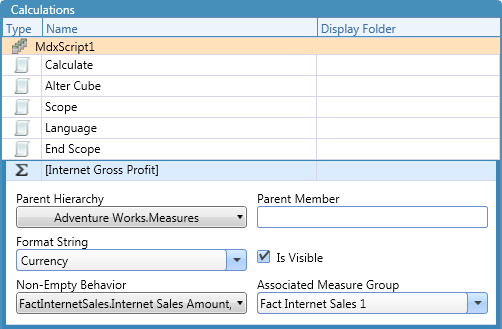 Alternatively, most types provide a dropdown for entry, generating MDX automatically. For a Named Set, enter its name in the data grid and enter its MDX expression in the large text editor. 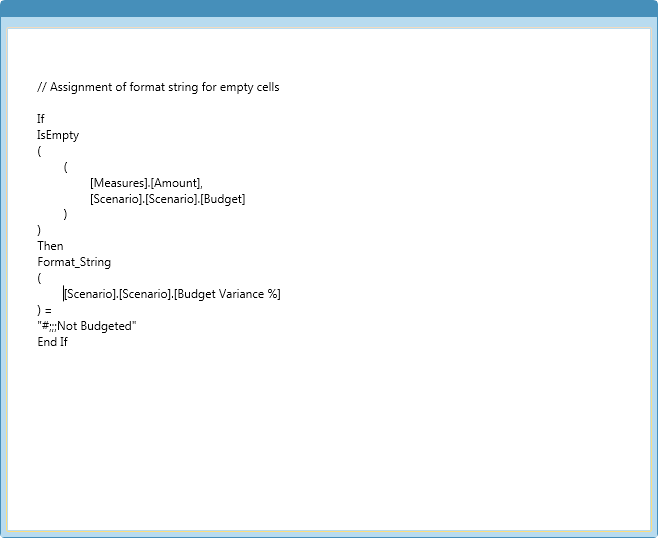 For a Script Command, enter its name in the data grid and enter its MDX expression in the large text editor. MDX Script Add a MDX Script to the cube. 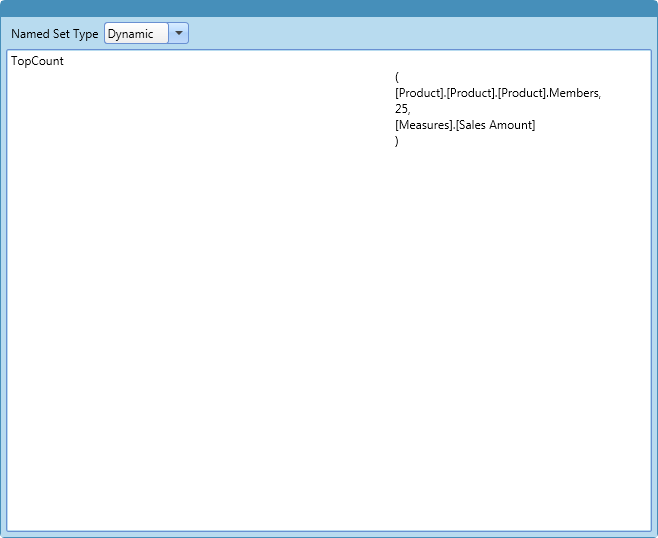 Calculated Member Add a calculated member to a selected MDX Script. Named Set Add a named set to a selected MDX Script. Script Command Add a script command to a selected MDX Script.